Situated above downtown Napa in Wild Horse Valley at the Kenzo Estate, Hilltop Stables offers English riding lessons (all levels of dressage and jumping) for adults and children beginning at six years of age. After years of riding, teaching, and handling horses coach Linda Betts is convinced that horses and horsemanship helps people develop responsibility, self-confidence, respect, self-control, teamwork and much more. The Hilltop program gives students the foundation they need to become effective and confident riders—all in a fun, safe environment. You will find that the program becomes an important part of the lives of you and your children. 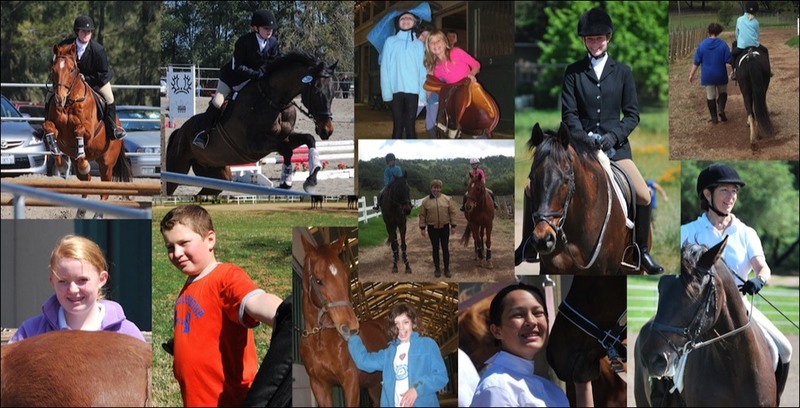 The goal here at Hilltop Stables is to share our lesson program and its positive attributes, building an inclusive community of riders. Come and be a part of something special! Olympic Rider Lauren Billys dressage & jumping clinic, on December 3 & 4! Holiday Horse Camp is coming! January 3–7. See here for details. Call today to schedule a lesson or a visit!